One of the most sophisticated Sine Wave output inverters pack with a lot of innovative features, esthetically designed looks, this state of the art technological marvel gives you continuous comfort. 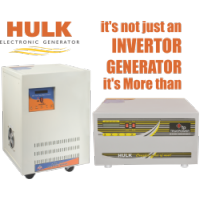 Hulk gives you solution from Cold Start, Pollution Free and Sound free Environment with Low Running cost as compare with Genset. Battery Friendlly: Safeguards & controls the battery temp. In-Built LCD & LED panel: For continuous information about status & operations. Inbuilt TDR: Time Delay Relay (optional)- Safegaurds compressor equipped appliances during changeover period with a minimum time delay of 2.5 mins. 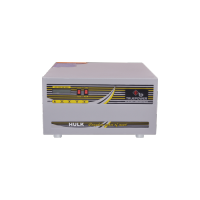 To Recieve updates and possible rewards for Truepower High Capacity Sine Wave UPS Hulk Series 50KVA, 360V Static please sign in. To Recieve updates and possible rewards for UPS & Inverter please sign in.